The project exceeds $1.1 billion. 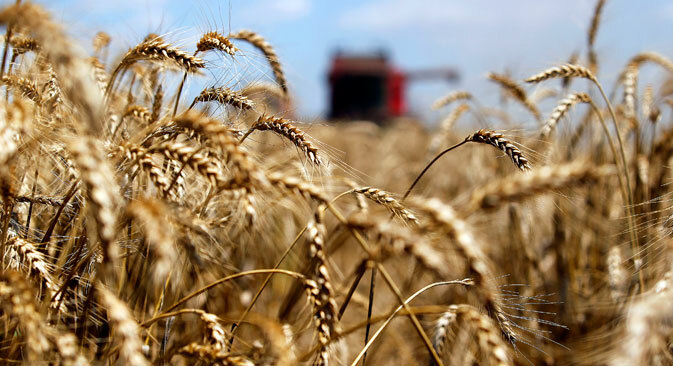 "The amount of investment in equipment there will be about $85 million, and together with construction about $100 million," Deputy Agriculture Minister Sergei Levin said on the sidelines of a meeting of the Russian-Chinese intergovernmental commission for investment on June 24. The memorandum calls for establishing a major logistics corridor consisting of 30 facilities, including a grain terminal and 29 elevators in various parts of Russia to support shipments. The project is expected to be carried out in the period to 2025, "butconstructionof the terminal is supposed to already begin in the fall of this year," Levin said. "The initiator of the project has now received all of the necessary permit documents and construction is scheduled to start already by September of this year," he said. Overall projected investment in the project exceeds $1.1 billion, but a great deal will depend on the scale of purchases, Levin said. "This is a big project, but this comprises the maximum freight traffic, this is the framework horizon that investors are going by when they're planning the project. What the project leads to, will become apparent when they launch the first phase, the terminal, and the product, Russian grain, begins to move. The more Russian grain China buys, the more elevators will have to be built to support the operations of this terminal," Levin said. The project will be carried out in several stages, the first of which is the construction of the actual terminal on the Zabaikalsk-Manchuria line. Construction of the first phase will take a year to 18 months and the whole project is expected to be completed by 2025, he said. Russiau2019s food exports continue to grow u2013 but where are they going? "This is why, concurrently with the first memorandum on construction, a second agreement is being worked out with Chinese food corporation COFCO for purchases of Russian grain through this terminal. Five days ago we were at a meeting of the Russian-Chinese intergovernmental commission for preparation of regular meetings between heads of government, where this issue was discussed separately and received support from both sides. After this, negotiations with COFCO intensified and they have progressed significantly in the signing of the second memorandum," Levin said. The agreement is essentially part of the package, as it is not enough to build the terminal, it needs to be filled with grain, he said, recalling that China is one of the largest grain producers in the world but still regularly imports a large amount of grain, mostly by sea. "The design of this terminal is intended for handling up to 8 million tonnes of grain. We'll see to what extent we manage to reach this level. For now, we're talking about the purchase of 2 million-3 million tonnes of grain for the initial period of the terminal's operation," Levin said. Possible expansion of shipments to other regions will depend on the market situation and transportation conditions. For now, the project is intended for exporting grain to China.